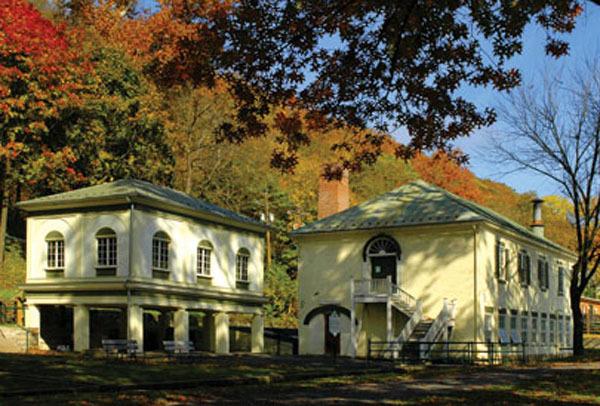 The Museum of the Berkeley Springs is housed on the second floor of the 1815 Roman Bath House in Berkeley Springs State Park, oldest public building in the historic town. Through its exhibits, publications and activities, the Museum showcases the story of the famous warm mineral springs and their continuing impact on the life and people around them. The Museum of the Berkeley Springs is the interpretive center for the western segment of the Washington Heritage Trail National Scenic Byway. The Museum is free to the public and supported through membership, donations and other sources. CLICK HERE FOR Winter 2015-2016 NEWSLETTER! The Virtual Museum presented on these pages is aimed at making the springs’ story accessible to the world.